HARLEY side bag - Saddlebag. 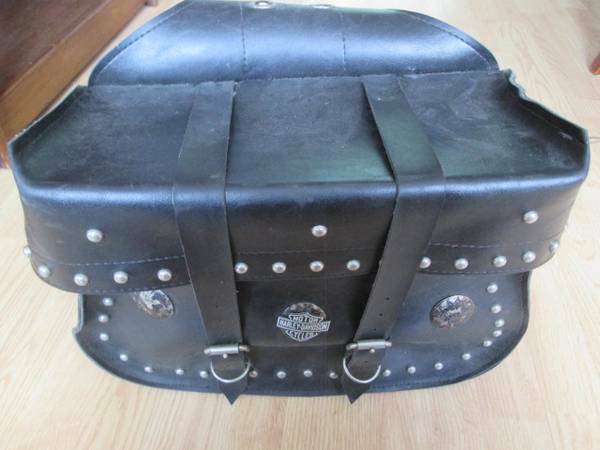 I am selling One Saddlebag for a Harley bike. - Features studs, conchs and fringe along with buckles zip off yokes. - Dimensions 14.5" x 11.5" x 5.5". - Material - Synthetic Leather.